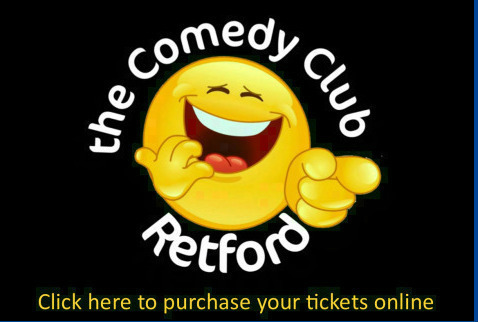 If you like a good laugh, come to The Comedy Club, Retford. It is a great night out, with average audience attendance of 130. Our next show is on Wednesday, 1st May 2019 and the stars of the show are Andy Kind, Noel James and Gareth Richards. Tickets are £8.00 if you buy them on the night of the previous show, £10 if you buy them in advance or £12.00 on the night. Tickets can be purchased from reception or by clicking on the link below. Payment is managed by PayPal and once processed we will post out your tickets to you. Andy Kind is an award-winning comedian, one of the pioneers behind the wave of Clean Comedy hitting the UK circuit. He has appeared on BBC1 and Radio 5Live and performs to live audiences of about 10,000 people a year. He started doing Stand-up on 23rd January 2005. By the September of that year, Andy had gone full-time as a comedian and has made a living from it ever since. He won Anything for Laffs in 2005 and in mid 2013 hurdled over the 1000-gig barrier. Described by The Scotsman as ‘Terrific’, Andy’s stand-up style can best be described as ‘the joyful rant of a post-30 chaos vacuum’. Welsh comedian Noel James is described as being, bizarre, surreal but most importantly extremely original, funny and down right ridiculous. His act contains a lot of odd jokes with intelligent word play. His best one liners will leave you belly laughing. On TV Noel has appeared on Stand – Up Show, and alongside Frank Skinner on Packing Them In. Most recently James reached the semi –finals of Britain’s Got Talent 2018 with a very funny guitar routine, narrowly missing out in a place in the final. Catch him headlining all the major comedy clubs & festivals throughout the UK. Gareth Richards’ hilarious stand-up, silly jokes and gorgeously low-key comedy songs have made him an instant favourite on the comedy circuit. He has appeared on Russell Howard’s Good News, Live at the Electric (BBC3) and in January performed live on Radio 1 on two separate occasions. Gareth has also co-hosted Frank Skinner’s Sony award-winning Absolute Radio show for two years and supported Frank on his 2014 tour. In 2010 he was nominated for Foster’s Edinburgh Comedy Award Best Newcomer. Doors open at 7pm, the show starts at 8.00pm.